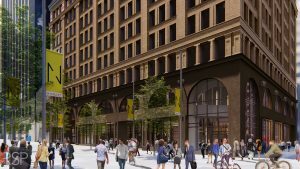 Renaissance Square is getting a multi-million dollar renovation aimed at filling a Nicollet Mall retail space that has been dark for at least a decade and to attract more office tenants. New owners TriCoastal Group of Chicago and The Davis Cos. of Boston intend to begin work on the renovation by the end of the summer. 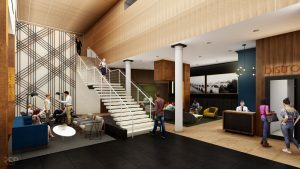 The main area of focus will be the street-level space, with RSP Architects designing a new facade with floor-to-ceiling windows — sans columns — and a new tenant lounge, conference center and bike-storage area. The project also comes with a new name for the 1898 building, The Andrus. It’s a nod to the 10-story building’s original financier, John Emory Andrus, a wealthy New York businessman, congressman and philanthropist. 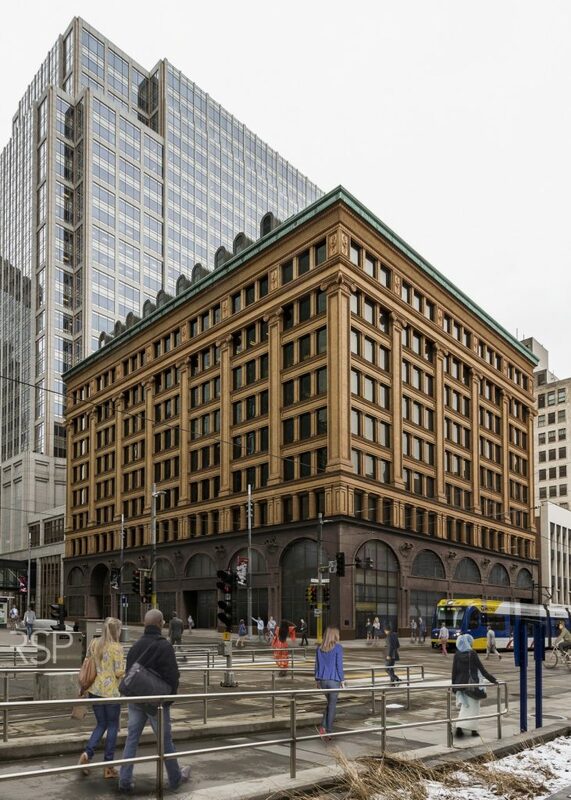 The hope is that the improvements will not only make the building more appealing to office tenants, but finally fill 8,500 square feet of retail space on the corner of Nicollet Mall and Fifth Street. As TriCoastal managing principal Brian Lipson pointed out, The Andrus is within a block of 767 luxury apartments that have been built in the past four years, with another 370 opening in The Opus Group’s 365 Nicollet project in November. Another reason the retail space has remained vacant, Lipson said, is that the previous owner bought what was a vacant building in early 2008 and, while it was able to fill it with office tenants, it was never able to finance a renovation of the first level because of the recession. 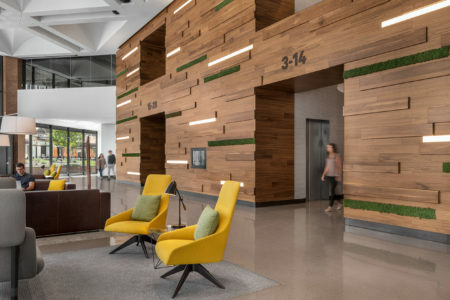 The 126,000-square-foot office portion of the building has about 20,000 square feet of vacancy, Lipson said, with existing tenants WSP, Sedgwick, Cue Inc., Genus Technologies, Fastbridge, CBX and DLR Group. 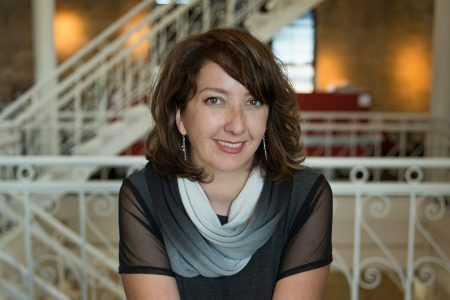 The new amenities will be attractive to a “creative class of tenants,” Lipson said — perhaps the type of company that wants to be in a historic building but doesn’t want to be in a neighborhood outside of the central business district like the North Loop or Warehouse District. “[The renovation is for] tenants who like the skyway connection but who are looking for a little more authentic, vintage, interesting space — a little less institutional,” he said. Cushman & Wakefield’s Minneapolis office has been hired to manage and lease the building, with Mark Stevens leasing the office portion and Peter Armbrust leasing the retail space. TriCoastal and the Davis Group paid $20.3 million for the property in September, around the time Nicollet Mall’s reconstruction was wrapping up. They weren’t ready to disclose a total renovation budget, but it’s expected to wrap up in early 2019. Lipson is from Michigan and lives in Chicago, but he’s almost an encyclopedia of downtown Minneapolis. As a graduate student in the early 1980s, he wrote his thesis about urban sprawl and land use, focusing on the creation of the Metropolitan Council. 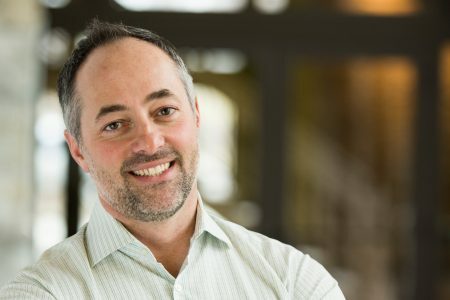 Before co-founding TriCoastal in 2008, he was an executive with Chicago-based Trizec Properties, which owned Northstar Center until 2006.